The venting capacity of radiator air vents and main line air vents used in single pipe steam heating systems has an important effect on the operation of these systems. In order to obtain a better understanding of these effects, The Center for Energy and Environment conducted experiments both in the laboratory and in the field to investigate the properties of single pipe steam air venting. 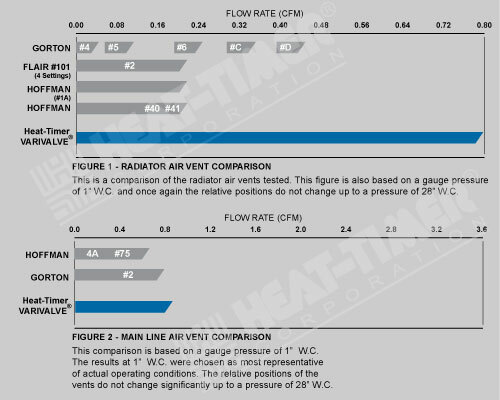 Commercially available radiator and main line air vents were tested and compared. Main line air vents in one building were replaced with open pipe orifices of different sizes, and the resulting fill characteristics of the main steam lines were observed. 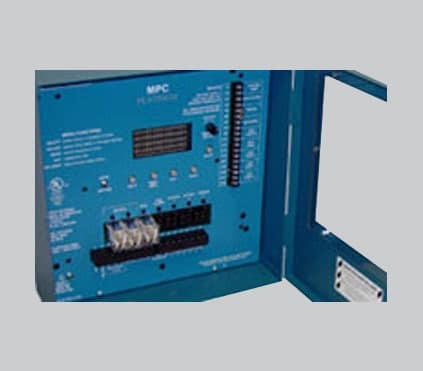 The purpose of the main line air vent is to rapidly vent the relatively large quantity of air in the main lines. This allows the main lines to fill more quickly and thus reduces the time difference of steam arrival at the different risers. A larger orifice allows the air to be pushed out at a lower back pressure. The results show that the larger the vent, the more quickly you can vent a system, which lowers operating pressure requirements. 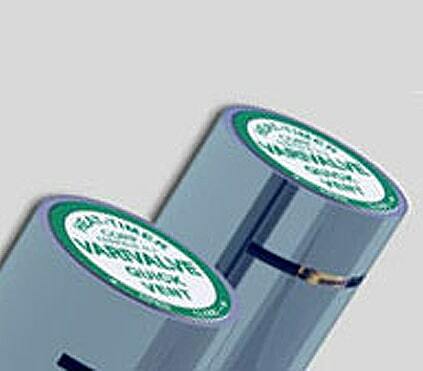 For steam radiator air vent cleaning instructions, visit our education section. The function of the radiator air vent is to provide a means for air to be driven out of the radiator as steam enters. At a given pressure the fill time of a radiator varies proportional to its heat capacity and inversely proportional to the venting capacity of the radiator air vent. It is possible to control the speed at which a radiator will fill with steam by installing a radiator air vent with a certain venting capacity. Used in this manner, radiator air vents are helpful in evening out the heat distribution in a building. My Vari-Valve steam radiator air vent is spitting water. What should I do? The valve is spitting water because it is not fully closing due mostly to rust debris from the radiator and steel pipes. You can try to clean the valve using vinegar. See the Education section for the steps on how to do that.